The White Mountains of New Hampshire are the birthplace of mountaineering and ice climbing in the United States. It is no wonder that so many great alpinists got their start here! The steep terrain, abundant snowfall, and cold temperatures during the winter all combine to create a perfect environment in which climbers of all ability levels can train and test their skills. For the more seasoned climber, "the Whites" are a great place to train in preparation for the great ranges of the world. Some of the classic routes in America can be found here, just outside the mountain town of North Conway, New Hampshire. It's a small friendly town that has become known as a gateway to world class ice climbing. Our programs begin at the Cranmore Mountain Lodge within walking distance of North Conway's multitude of restaurants and amenities. This quaint and comfortable mountain inn creates a home-away-from-home experience with traditional New England hospitality. It is the perfect spot from which to plan and prepare for excursions into the hills and then retire for a nightcap after a day on the ice. Upon registration for an IMG program, we will send you a code good for a 10% discount when you book their lodging online. 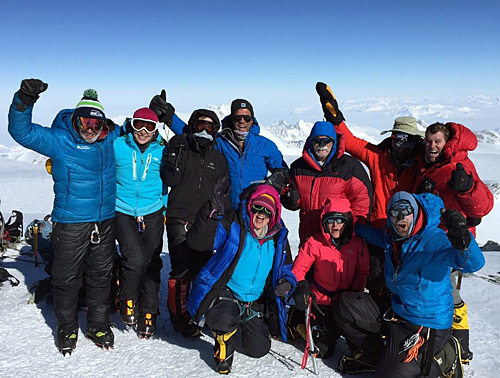 For those looking to develop their skills in cold weather mountaineering, our programs are an excellent choice. Climbing in the Whites will help prepare climbers for future mountaineering ascents from Mt. Rainier to Mt. Everest. Imagine a winter hiking ascent of Mt. Washington, training with our guide in one of the coldest and windiest locations in the world! There is no better training than this. We offer both beginner and expert ice climbers alike a multitude of routes on which to appropriately learn and refine their skills. Imagine training in the balance and technique necessary for climbing steep water ice on the beautiful and easily accessible water ice flows of Frankenstein Cliffs in Crawford Notch State Park with Mt. Washington looming overhead in the distance. It doesn't get any better than this! By using a small instructor/student ratio, the focus of our programs is on improving individual climbing skills. Our participants are encouraged to progress at their own pace and comfort level. We hope you'll join us in New Hampshire this winter and sink your tools into some of the classic climbs to be found here. No previous ice climbing or mountaineering experience is required. Sign up for a two-day, three-day, or five-day course, and come have a great time with us! It was a great climb overall. Hard at times, but this is normal. I had fun (which is rare for me). Craig had everything planned very well, with a progressive learning curve from day one to day three. I do know a few other mountain guides, and Craig is the best for the following reasons: he is knowledgeable, patient, flexible, skilled at training others and focused on the client. He did take the time to listen to my questions and to formulate a truthful response... He is an asset to IMG. 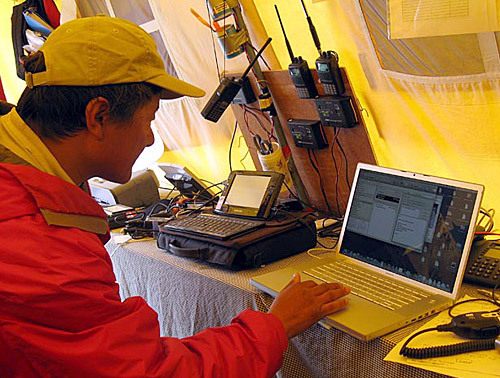 Being knowledgeable as a mountaineer is one thing. Being able to transfer this knowledge and teach someone else is a different thing. Craig can do both... 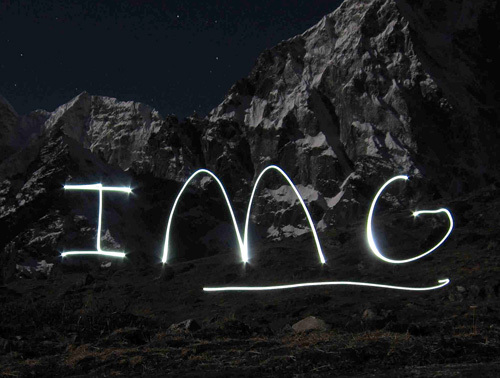 I am sure that I will work again with IMG and Craig. Thank you for these three days. Create your own program with our expert guides to suit your schedule. Choose your ratio of climbers to guides and pick your own dates. 3:1 and 4:1 ratios are suitable for group instruction and top roped climbs only. 2:1 and 1:1 are best for private instruction and multi pitch ice climbs. Do you want to climb the mountain that is known to have the "worst weather in the world?" Mt. Washington is situated at the intersection of three major storm tracks which affect the northern Appalachian Range. Rising from a starting elevation of 2,050 feet to 6,288 feet, Mt. Washington is known for its extreme weather conditions. Mt. Washington is the highest peak in the Northeast and the conditions above timberline are as serious as on any mountain in North America. The route we ascend, Lions Head, is not technically demanding but requires participants to be in good physical condition to complete the nine-mile roundtrip in a day. As we ascend we will discuss general mountaineering skills, winter navigation and we will be able to practice basic cramponing, ice axe skills and self-arrest techniques. No previous mountaineering experience is required to register. However, participants should be physically prepared and well equipped for a rigorous full day experience. Participants should be prepared for a 6:30am departure. This two-day course will introduce you to the excitement and beauty of waterfall ice climbing. The first day participants will learn to move on low to moderate angled ice using crampons and ice tools. Climbers will learn how to swing the tools and where to place them. They will learn how to place their crampons into the ice through various techniques designed to give the most support and purchase on varying angles of ice. Climbers will also learn the basics of belaying and handling the rope. You will need lodging in town for the night. On day two, we'll reinforce the skills learned so far and venture onto steeper terrain as the group desires. Our major goals are to learn to use the gear efficiently and most importantly, to have fun. This introductory two-day course is a condensed version of our four-day program. During the two days you will learn the fundamentals of winter mountaineering and make a summit attempt of Mt. Washington. No previous climbing experience is required for registration but participants should be prepared for a challenging experience. The first day will be spent learning technical skills; ice axe arrest, cramponing, belaying skills and rope travel. By the end of the day you'll feel confident ascending and descending snow slopes of low to moderate angles. We will return to town for the evening (you will need lodging for this night). Day 2 we will head up to Mount Washington for our summit attempt and utilize the skills learned on Day 1. We will assess weather and snow conditions along the way, and adjust accordingly. This introductory four-day course will teach you the fundamentals of winter mountaineering and includes a summit attempt of Mt. Washington. No previous climbing experience is required for registration but participants should be prepared for a challenging experience. The first and second days will be spent outdoors learning technical skills; ice axe arrest, cramponing, belaying skills and rope travel, snow anchors and crevasse rescue. We will return to town for the first two evenings (you will need lodging for these nights). Day 3 we will head up to Mount Washington where we will set up camp in anticipation of our summit attempt on the fourth day. We will assess weather and snow conditions along the way as they are a big part of mountaineering and this course and will adjust accordingly. 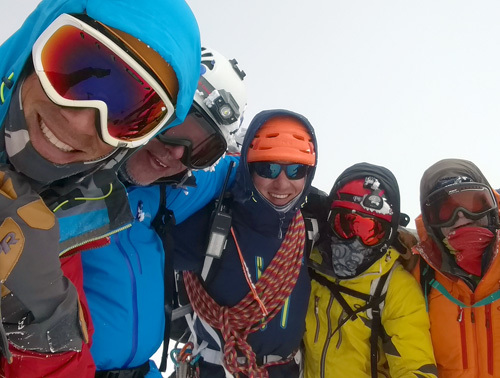 Our goal is to help you to become a more experienced and responsible winter mountaineer. Your safety in the mountains depends on the decisions you make. 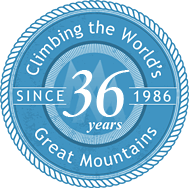 This course is a solid first step for climbers interested in climbing the greater mountain ranges of the world. Thinking of climbing Mt. Rainier or are you already signed up for one of IMG's Rainier climbs? Either way, our Rainier Prep program can help prepare you for the challenges of Rainier by learning the skills needed to climb the mountain before you even get there. 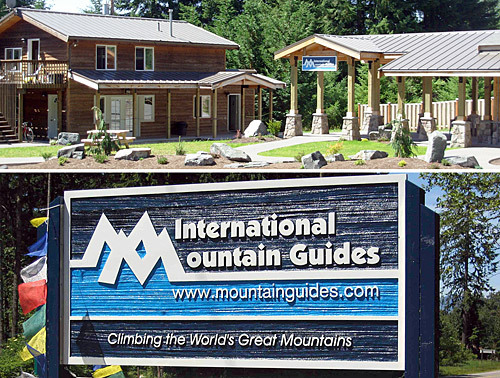 This two day course is designed to introduce you to the basics of climbing mountains like Mt. Rainier, Mt. Baker or any of the other glaciated peaks of the Pacific Northwest. Topics covered will include: ice axe use and self-arrest, cramponing including French technique and international technique, team rope travel and team arrests, snow anchors and crevasse rescue. This is a hands on course where participants on the second day will work together to arrest a crevasse fall, construct an anchor and complete one of several crevasse rescue systems that they have been taught. At 20,310ft high, Denali is the highest mountain in North America and one of the Seven Summits. Our two day Denali Prep program will revisit some topics that Denali aspirants will already know such as ice axe arrest, cramponning and glaciated rope travel. 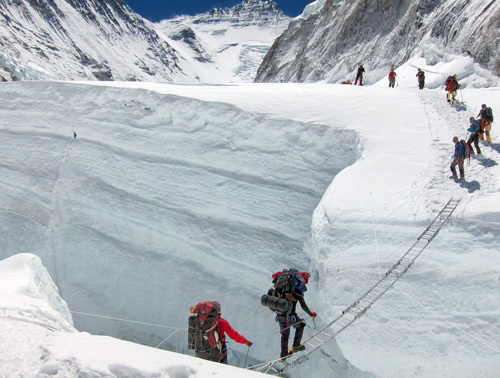 We will spend more time on snow anchors and crevasse rescue systems such as 3:1, 4:1 and 6:1, drop loop, and self-rescue. Sled rigging will also be covered. If you are headed to Denali or even thinking about climbing this great mountain, this course is a must for you. A traverse of the Presidential Range during the winter is one of the most challenging and difficult mountaineering adventures on the East Coast, and also one of the most coveted. The traverse begins on Mt. Madison in the north and moves south along the ridgeline that connects the "Presidentials". We hit the summit of seven peaks along the way: Mt. Madison 5367', Mt. Adams 5774', Mt. Jefferson 5712', Mt. Washington 6288', Mt. Monroe 5372', Mt. Eisenhower 4780', and Mt. Pierce 4310'. Because of the potentially severe weather conditions associated with Presidential Range, the traverse can be physically and mentally challenging. For this reason we require that all participants have previous hiking and camping experience, be familiar with basic use of crampons & ice axe and be in good physical condition or have completed one of IMG's basic mountaineering programs. The intermediate level course is for climbers who have taken our basic course or have previous multi-pitch climbing experience. This program is designed to take your ice climbing skills to the next level. Our intermediate ice climbing courses are tailored to meet your needs. Our guides will discuss your previous experience and goals with you to design a program that will help you attain those goals. 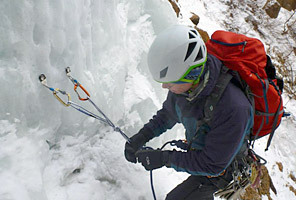 During this course we emphasize technique, finesse, and climbing efficiently to conserve energy, which is a vital component of winter climbing. Other components of the lesson include assessment of conditions, anchor systems and multi pitch climbing. Completion of this course will enable you to become an efficient climbing partner capable of "seconding" multi pitch ice climbs under the watchful eye of the guide. The Advanced Course is for the climber who is proficient at climbing Grade 3 ice, is a competent belayer, proficient at tying knots, clipping in and out of anchors and descending by various techniques such as rappelling and glissading. Again, this program is tailored to your individual goals.